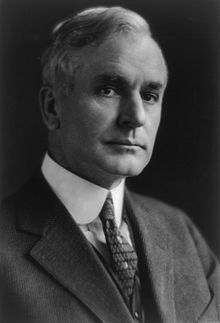 Cordell Hull (October 2, 1871 – July 23, 1955) was an American politician from Tennessee best known as the longest-serving U.S. Secretary of State, holding the position for 11 years (1933–1944) in the administration of President Franklin Delano Roosevelt during most of World War II. Hull received the Nobel Peace Prize in 1945 for his role in establishing the United Nations, and was referred to by President Roosevelt as the "Father of the United Nations". Born in Olympus, Tennessee, he pursued a legal career after graduating from the Cumberland School of Law. He won election to the Tennessee House of Representatives and served in Cuba during the Spanish–American War. He represented Tennessee in the United States House of Representatives from 1907 to 1921 and from 1923 to 1931. As a member of the House Ways and Means Committee, Hull helped pass the Revenue Act of 1913 and the Revenue Act of 1916, which implemented the federal income tax and the federal estate tax. He served as Chairman of the Democratic National Committee from 1921 to 1924 and was a presidential candidate at the 1928 Democratic National Convention. Hull won election to the Senate in 1930, but resigned from the Senate in 1933 to become Secretary of State. Roosevelt and Hull pursued the Good Neighbor policy, which sought to avoid U.S. intervention in Latin American affairs. In the aftermath of Mexican agrarian reforms, he developed the Hull Doctrine as a way to compensate foreign investors in the aftermath of nationalization. In November 1941, he presented the Hull note to Japan, demanding Japanese withdrawal from French Indochina and China. In 1943, Hull and his staff drafted the document that became the United Nations Charter. Hull resigned as Secretary of State due to poor health in 1944. In 1933, Hull was appointed Secretary of State by President Franklin D. Roosevelt; he served 11 years until he retired from public office. Hull became the underlying force and architect in the creation of the United Nations, drafting, along with his staff, the United Nations Charter in mid-1943. He resigned as Secretary of State on November 30, 1944 because of failing health. In 1945, Cordell Hull was awarded the Nobel Peace Prize for "co-initiating the United Nations". Cordell Hull was born in a log cabin in Olympus, Tennessee, which is now part of Pickett County, Tennessee, but was then part of Overton County He was the third of the five sons of William Paschal Hull (1840–1923) and Mary Elizabeth Hull (née Riley) (1841–1903). His brothers were named Orestes (1868), Sanadius (1870), Wyoming (1875), and Roy (1881). Hull's father reportedly tracked down and killed a man because of a blood feud. His mother was a descendant of Isaac Riley who was granted 200 acres (0.81 km2) in Pickett County near Byrdstown for Revolutionary War service (this land is still in the family), as well as Samuel Wood who immigrated from Leicestershire, England on the ship Hopewell and fought in the Virginia Militia. Hull's mother's family (Riley-Wood) holds the DAR distinction of the most documented ancestors to have fought in the Revolutionary War. 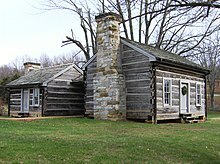 Hull devoted a section in his memoirs "Cabin on the Hill" to dispelling an old rumor that his mother was part Cherokee Indian, and subsequent documented family history has confirmed his ancestry. Hull attended college from 1889 until 1890. He gave his first speech at the age of 16. At the age of 19, Hull became the elected chairman of the Clay County Democratic Party. Hull studied at National Normal University (later merged with Wilmington College, Ohio) from 1889 until 1890, In 1891, he graduated from Cumberland School of Law at Cumberland University and was admitted to the bar. Hull served in the Tennessee House of Representatives from 1893 to 1897. During the Spanish–American War, he served in Cuba as a captain in the Fourth Regiment of the Tennessee Volunteer Infantry. In a speech in 1937, Mayor Fiorello H. La Guardia of New York said that brown-shirted Nazis ought to be featured as the "climax" of a chamber of horrors in the upcoming World's Fair. The Nazi government organ, the Angriff, called the Mayor a "Jewish Ruffian" saying he had been bribed by Jewish and Communistic agents and was a criminal disguised as an officeholder. In the ensuing exchanges, Hull sent a letter of regret to Berlin for intemperate comments on both sides, while also explaining the principle of freedom of speech. As the response of Nazi propaganda organs rose in pitch, to include characterizing American women as "prostitutes", Hull sent a letter of protest to Berlin, which elicited an "explanation" but no apology. In 1938, Hull engaged in a famous dialog with Mexican Foreign Minister Eduardo Hay concerning the failure of Mexico to compensate Americans who lost farmlands during the Agrarian reforms of the late 1920s. He insisted that compensation must be "prompt, adequate and effective". Though the Mexican Constitution guaranteed compensation for expropriation or nationalization, nothing had yet been paid. While Hay admitted Mexico's responsibility, he replied that there is "no rule universally accepted in theory nor carried out in practice which makes obligatory the payment of immediate compensation..." The so-called "Hull formula" has been adopted in many treaties concerning international investment, but is still controversial, especially in Latin American countries, which historically have subscribed to the Calvo Doctrine, which among other things, suggests that compensation is to be decided by the host country and that as long as there is equality between nationals and foreigners and no discrimination, there cannot be any claim in international law. The tension between the Hull formula and the Calvo Doctrine is still of importance today in the law of international investment. Japanese Ambassador Admiral Kichisaburō Nomura (left) and Special Envoy Saburō Kurusu (right) meet Hull on 17 November 1941, two weeks before the attack on Pearl Harbor (7 December 1941). Cordell Hull pursued the "Good Neighbor Policy" with Latin American nations, which has been credited with preventing Nazi subterfuge in that region. Hull and Roosevelt also maintained relations with Vichy France, which Hull credits with allowing General Henri Giraud's forces to join allied forces in the North African campaign against Germany. Hull handled formal statements with foreign governments. He sent the Hull note to Japan prior to the attack, which was formally titled "Outline of proposed Basis for Agreement Between The United States and Japan." Hull received the news that the Pearl Harbor attack had started while outside his office the Japanese ambassador Kichisaburō Nomura and Japan's special envoy Saburō Kurusu were waiting to see Hull with a fourteen-part message from the Japanese government officially notifying of a breakdown in negotiations. The U.S. had broken the code and Hull knew the contents. He blasted the diplomats: "In all my fifty years of public service, I have never seen such a document that was more crowded with infamous falsehood and distortion." The 26 United Nations Flags from Dr. Francisco Castillo Najera, Franklin D. Roosevelt, Manuel Quezon, and the U.S. Secretary of State Cordell Hull in July 1942. In 1939, Hull advised President Roosevelt to reject the SS St. Louis, a German ocean liner carrying 936 Jews seeking asylum from Germany. Hull's decision sent the Jews back to Europe on the eve of the Nazi Holocaust. Some historians estimate that 254 of the passengers were ultimately murdered by the Nazis.
. . . there were two conversations on the subject between (Secretary of the Treasury) Morgenthau and Secretary of State Cordell Hull. In the first, 3:17 PM on 5 June 1939, Hull made it clear to Morgenthau that the passengers could not legally be issued U.S. tourist visas as they had no return addresses. Furthermore, Hull made it clear to Morgenthau that the issue at hand was between the Cuban government and the passengers. The U.S., in effect, had no role. In the second conversation at 3:54 PM on June 6, 1939, Morgenthau said they did not know where the ship was and he inquired whether it was "proper to have the Coast Guard look for it". Hull responded by saying that he didn't see any reason why it could not. Hull then informed him that he did not think that Morgenthau would want the search for the ship to get into the newspapers. Morgenthau said "Oh no. No, no. They would just—oh, they might send a plane to do patrol work. There would be nothing in the papers." Hull responded "Oh, that would be all right." In September 1940, First Lady Eleanor Roosevelt maneuvered with another State Department official to bypass Hull's refusal to allow Jewish refugees aboard a Portuguese ship, the SS Quanza, to receive visas to enter the U.S. Through Mrs. Roosevelt's efforts, the Jewish refugees disembarked on September 11, 1940, in Virginia. In a similar incident, American Jews sought to raise money to prevent the mass murder of Romanian Jews. 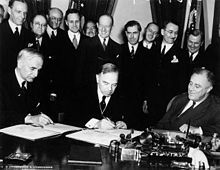 However "In wartime, in order to send money out of the United States, two government agencies had to sign a simple release- the Treasury Department under Henry Morgenthau and the State Department under Secretary Cordell Hull. Morgenthau signed immediately. The State Department delayed, delayed, and delayed, as more Jews were dying in the Transnistria camps." In 1940 Jewish representatives in the USA lodged an official complaint against the discriminatory policies the State Department was using against the Jews. The results were fatal: the Secretary of State [Cordell Hull] gave strict orders to every USA consulate worldwide forbidding the issuing of visas to Jews ... At the same time a Jewish congressman petitioned the President [FDR], requesting his permission to allow twenty thousand Jewish children from Europe to enter the USA. The President totally ignored this petition as well as its sender. Gravesite of Cordell Hull at the St. Joseph of Arimathea Chapel, in Washington National Cathedral Church. At the age of 45, in 1917, he married a widow Rose Frances (Witz) Whitney Hull (1875–1954), of an Austrian Jewish family of Staunton, Virginia; the couple had no children. Mrs. Hull died at age 79, in Washington, D.C., in 1954. Hull's memory is preserved by Cordell Hull Dam on the Cumberland River near Carthage, Tennessee. The dam impounds Cordell Hull Lake, covering approximately 12,000 acres (49 km2). The Cordell Hull Building, on Capital Hill in Nashville, Tennessee, is a secure 10 story building that contains the offices of the Tennessee Legislature. The Eisenhower Executive Office Building (formerly the Old Executive Office Building) in Washington, DC, next to the White House, contains the ornately decorated "Cordell Hull Room" on the second floor, which is used for meetings. The room was Cordell Hull's office when he served as U.S. Secretary of State. Hull is a significant character in the Worldwar series of science fiction/alternate history novels by Harry Turtledove, and also plays a background role in the same author's Southern Victory Series volume American Empire: The Center Cannot Hold. Charles Trowbridge played Hull in Sergeant York (1941) and Mission to Moscow (1943). There was a very small chain of hotels named after him (which he allegedly owned or co-owned) in Middle Tennessee and Southern Kentucky, one of which was the Cordell Hull Hotel in downtown Gallatin, Tennessee, which c. 1971 was used to house the first-ever classes of the new Volunteer State Community College while the campus was being built. This was one of the hotel's last official uses. Hull is mentioned by name in the 1937 calypso song "FDR in Trinidad" popularized by Attila the Hun, and also by Ry Cooder on his 1972 album Into the Purple Valley. Hull is prominently featured in Robert Ludlum's novel The Scarlatti Inheritance. ^ Hulen, Bertram D. (1946-10-25). "Charter Becomes 'Law of Nations', 29 Ratifying It". The New York Times. p. 1. Retrieved May 5, 2014. ^ Gunther, John (1950). Roosevelt in Retrospect. Harper & Brothers. p. 132. ^ Joseph Lelyveld (2017). His Final Battle: The Last Months of Franklin Roosevelt. p. 69. ^ Michael Zalampas (1989). Adolf Hitler and the Third Reich in American Magazines, 1923–1939. Popular Press. p. 108. ISBN 978-0879724627. ^ Mark Stoler; Molly Michelmore (2018). The United States in World War II: A Documentary History. pp. 27–31. ^ "What was the Coast Guard's role in the SS St. Louis affair, often referred to as 'The Voyage of the Damned'?". United States Coast Guard. October 10, 2012. Retrieved May 5, 2014. ^ Buckley, Cara (July 8, 2007). "Fleeing Hitler and Meeting a Reluctant Miss Liberty". The New York Times. ^ Gruber, Inside of Time p. 159 (2003). ^ The Australian Jewish News, 6 May 1994, p. 9. Butler, Michael A. (1998), Cautious Visionary: Cordell Hull and Trade Reform, 1933–1937, Kent, Ohio: Kent State University Press, ISBN 978-0-87338-596-1 . Gellman, Irwin F., Secret Affairs: FDR, Cordell Hull, and Sumner Welles, Enigma Books, 2002. ISBN 978-1-929631-11-7. Wikimedia Commons has media related to Cordell Hull. United States Congress. "Cordell Hull (id: H000940)". Biographical Directory of the United States Congress.